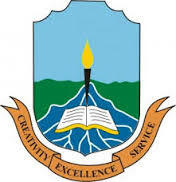 Niger Delta University (NDU Wilberforce) Post-UTME and Direct Entry (DE) Admission Screening Form, Eligibility, Cutoff Mark, Screening Requirements, Date and Time, Application Guidelines for 2018/2019 Academic Session. This is to inform the general public that the Post-UTME Screening Exercise of the Niger Delta University for the 2018/2019 session will take place as indicated below. Suitably qualified candidates are invited to apply. Latest Update: NDU Online Post-UTME/DE Applications has been extended to 24th August, 2018. Candidates who made Niger Delta University their first choice and scored 150 marks and above in the 2018 UTME are eligible to apply. DIRECT ENTRY CANDIDATES: Candidates who made Niger Delta University their first choice for direct entry are requested to log on to www.nduscreening.com to upload their documents on or before 20th August, 2018. The deadline for the on-line submission of application form is 24th August, 2018. The aptitude test is scheduled to hold from 27th August to 1st September, 2018. For further information, candidates should log on to www.ndu.edu.ng. N.B: Niger Delta University will not be held liable if you provide an invalid GSM number and e- mail address. Keep your application form safe and come along with it for the aptitude test.